John’s Plumbing & Pumps, Inc performs full-service trenchless sewer and water pipe repair for Puyallup homes and businesses. We have the equipment and licensed, experienced plumbers who are available by appointment any day of the week. Our team also realizes that serious water and sewer line issues can arise any time and require a swift response. That’s why John’s Plumbing & Pumps is available 24/7 in the event of a disaster. We’ll do our best to assist you over the phone to stabilize the situation while you wait for a technician. What is trenchless plumbing? It’s a technology that allows plumbers to install, clean, and repair sewer and water lines without having to dig up the ground or remove concrete. How Do Plumbers Find Damage Inside Underground Sewer Pipes? An underground pipe, depending on its age and condition, is actually a series of pipes that have been attached to one other. The areas where they are attached are called joints. Over time, the joints become weak points where roots from plants can enter in the search for water. When the roots multiply, they cause damage by expanding the gap between the two pipes and creating a blockage in the pipe itself. 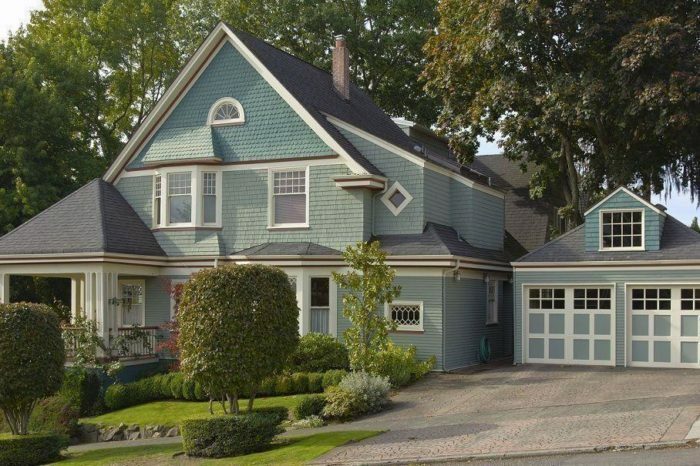 This is more common than most homeowners in Puyallup realize. But when sinks, toilets, and appliances fail to drain, this type of damage is impossible to ignore. Another way to know if your sewer drain is blocked is if sinkholes or wet spots develop in your yard. They may also be accompanied by an unpleasant odor. To address the issue, we begin by looking at the inside of the pipe with a video inspection camera with a powerful lens and light. The camera is fitted to the end of a robust hose and guided through the pipe. A live video is sent to a computer screen above ground so our plumbers can measure exactly where the damage is, and the extent of it. Video sewer line inspection devices allow licensed plumbers to quickly find sewer pipe problems without causing disruption by digging or breaking up concrete. Trenchless technology benefits plumbers by allowing them to repair water and sewer lines without having to dig trenches. Trenchless pipes are installed by digging entry and exit pits and using a large drill to carve out an underground path between the two points. This is the same technology that is used for pipes that need to be run beneath rivers and highways. What causes sewer or water line damage? Plumbing systems are built to last, but that doesn’t mean they’re immune to wear and tear. Slow leaks from pipes can cause the ground below to erode, leaving space for it to collapse from the pressure above. And in historic Puyallup neighborhoods, collapsed pipes are increasingly common. Sewer and water main lines may also require repair if roots have found their way through the joints. Root systems can wreak havoc on underground pipes and must be cleaned out either through high-pressure water jetting (hydrojetting) or by using a specialized cutter. Once the roots are cleaned out, it’s important to also repair the gap or section of pipe that was affected. How are broken sewer pipes repaired? Before sewer pipes can be fixed, any blockages need to be removed. We do this by using high-powered pressure washers called hydrojets to break up the clog and wash it through. 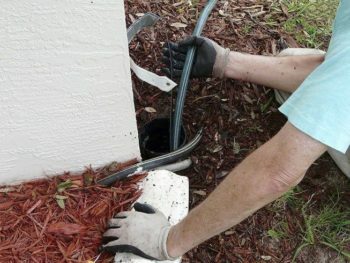 Alternatively, we can use a plumber’s drain snake with a cutter head to remove the blockage. Some damaged sections of buried pipe need to be removed. But, to do that, the section needs to be cracked or destroyed and filled with a replacement pipe. Trenchless pipe bursting is another way to replace damaged sewer lines without disrupting the ground above it. To install lines without digging a trench, plumbers use a process called pipe lining. This method involves taking a felt liner that’s been soaked in resin and adhering it to the old pipe wall. The liner is pulled through using specialized machinery to help it expand it inside the old pipe. The liner then cures and creates a brand new pipe. John’s Plumbing & Pumps are leaders in trenchless sewer and water pipe repair. Having problems with yours? Let’s talk.